Palm oil production is growing rapidly and is now close to 60 million metric tons per year. Close to 90 percent is produced in Indonesia and Malaysia, where the plantations are extremely large scale. A high price is being paid for this rapid increase in palm oil production. More than a third of the new plantations in these areas over the past twenty years have been established at the expense of tropical forests and with a highly negative effect on animals, plants and humans. At the same time, the oil palm is an extremely productive crop that requires less water, less fertilizers and less pesticides than other oil plants. Palm oil production supports several million people financially, many of them small farmers. Palm oil produced in a socially and environmentally sustainable manner is therefore a good option. Palm oil is now one of the world’s most important vegetable oils, primarily in food but also as the dominant source of vegetable fat and oil in beauty and chemical products. 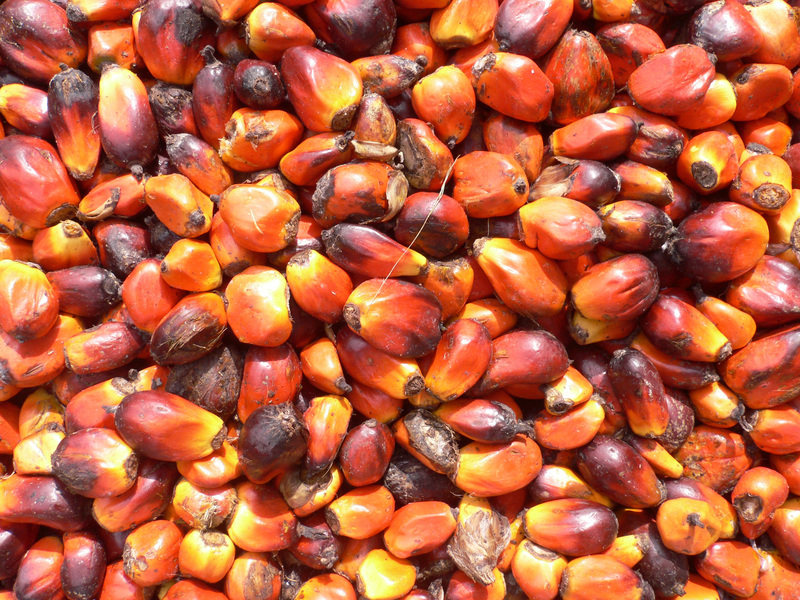 Palm oil and palm kernel oil are used directly in certain products, but they are primarily used as raw materials for the commodities industry. When the chemical industry buys raw materials, there are several stages from the oil being harvested to the chemical product or raw material being ready. The raw materials are classified primarily by their chemical specification and not their origin, making it difficult to know the amount of palm oil contained in a finished product. The origin is often very mixed depending on availability and price. Together with Kicks, we have been conducting a project since the spring of 2014 aimed at gathering the Swedish beauty and chemical industry in an effort to find solutions for how the palm oil used in these products can be produced in a sustainable manner. This resulted in the Swedish Initiative for Sustainable Palm Oil in Cosmetics and Detergents (SISPO), an industry-wide initiative working for the transition to a more sustainably produced, certified and traceable palm oil in cosmetics, hygiene products, detergents and cleaning products. Participants undertake to ensure that at least 90 percent of palm oil in its own products should be produced sustainably by 2020. Within SISPO we have developed a number of tools to help buyers, producers and suppliers to identify how much palm oil is actually included in the various products. Without the survey, it is not possible to compensate for example through certificates.